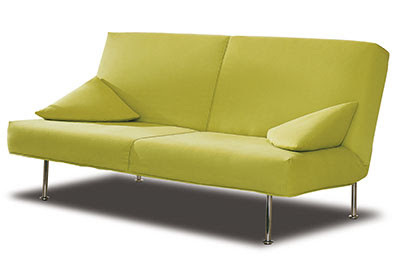 A simple sofa bed from Espacio from their Milano Bedding series. This piece was designed by MB Studio and is available in a dozen colors. I like the shape of the side pillows and how they compliment the sofa bed. Price: £1,439. Available: here. Ooh, very stylish -- the side cushions are really unique!